PSYCHOSOMATIC MEDICINE: MEETING OF SOUL AND BODY. 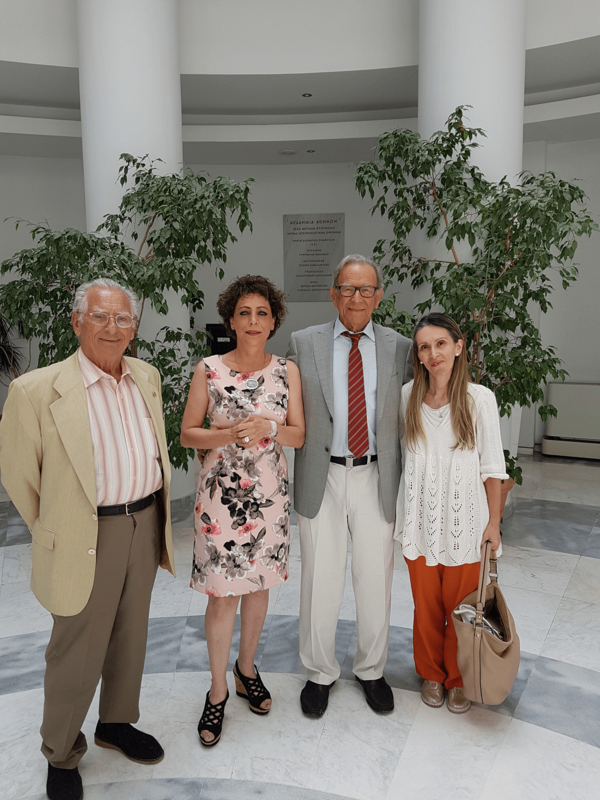 PHOTOS FROM THE SPEECH OF THE PRESIDENT OF THE SOCIETY FOR PREVENTIVE PSYCHIATRY SPP, PROFESSOR GEORGE CHRISTODOULOU ON JULY 3rd 2018 | SOCIETY OF PREVENTIVE PSYCHIATRY - WFMH, WASP MEMBER AND WPA AFFILIATE MEMBER. ΕΤΑΙΡΕΙΑ ΠΡΟΛΗΠΤΙΚΗΣ ΨΥΧΙΑΤΡΙΚΗΣ - WFMH, WASP ΜΕΛΟΣ ΚΑΙ WPA ΣΥΝΔΕΔΕΜΕΝΟ ΜΕΛΟΣ. Psychosomatic medicine: Meeting of soul and body. Photos from the speech of the President of the Society for Preventive Psychiatry SPP, Professor George Christodoulou on July 3rd 2018. 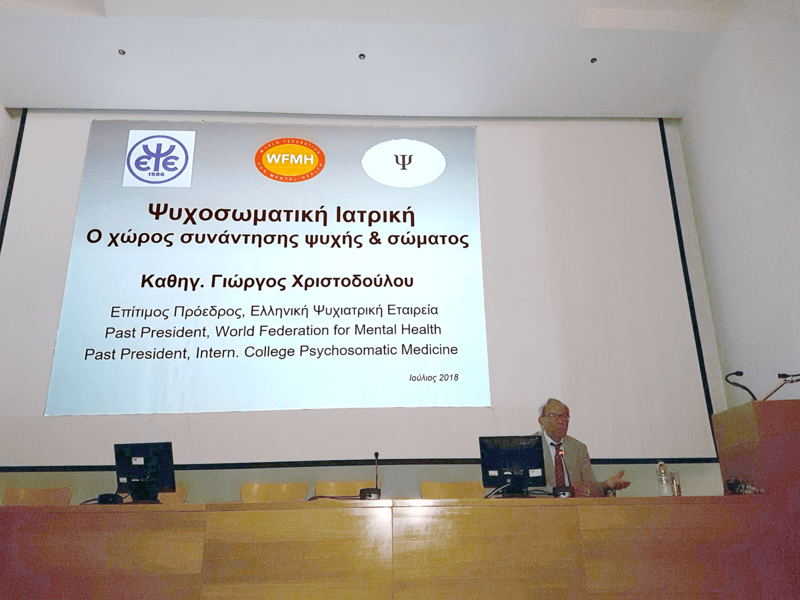 On July 3rd 2018, a speech was held by Professor George Christodoulou, President of the Society of Preventive Psychiatry SPP, on the topic of “Psychosomatic medicine: meeting of soul and body” at the Amphitheater of the Institute of Biomedical Research Foundation of the Academy of Athens. Several colleagues and keen audience were present. V. Thouas – Professor of Rheumatology, University of Athens, D. Maggoura – Professor – Research Associate of the University of Athens, G. Christodoulou – Professor of Psychiatry and President of the Society of Preventive Psychiatry SPP, H. Resvani – Specialist in Pediatric Psychiatry.